If you thought progressive dinners were left in the eighties with crimpers and roller skates, we’d totally forgive you. And while a progressive dinner sounds like the kind of daggy neighbourhood event your parents used to participate in – sampling a round robin of dishes from The Women’s Weekly Cookbook – we’re here to tell you that we’re bringing them back. In a very sophisticated way. 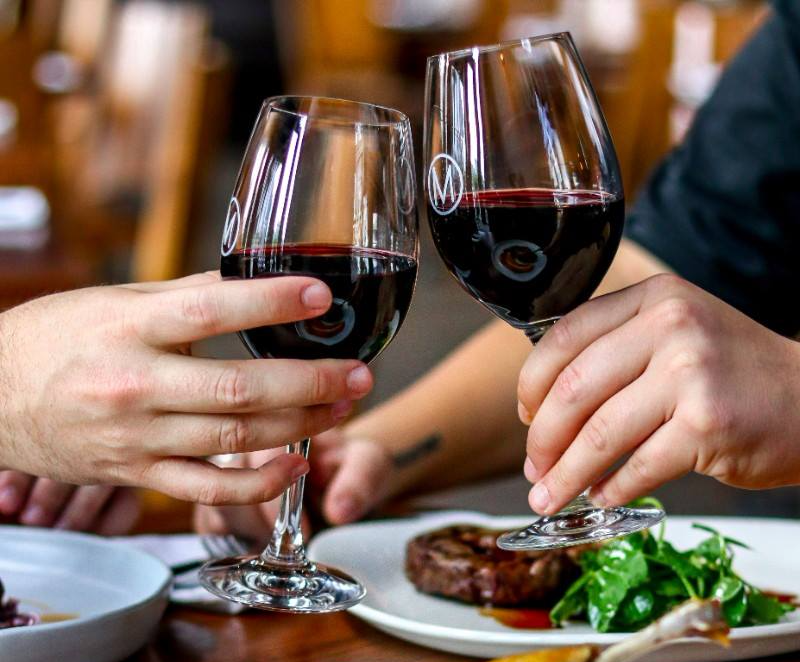 In 2018, South Wharf will host a number of progressive dinners across six unique South Wharf restaurants: Akachochin, Meat Market, Plus 5, BangPop, Common Man and Bohemian Wine Bar. 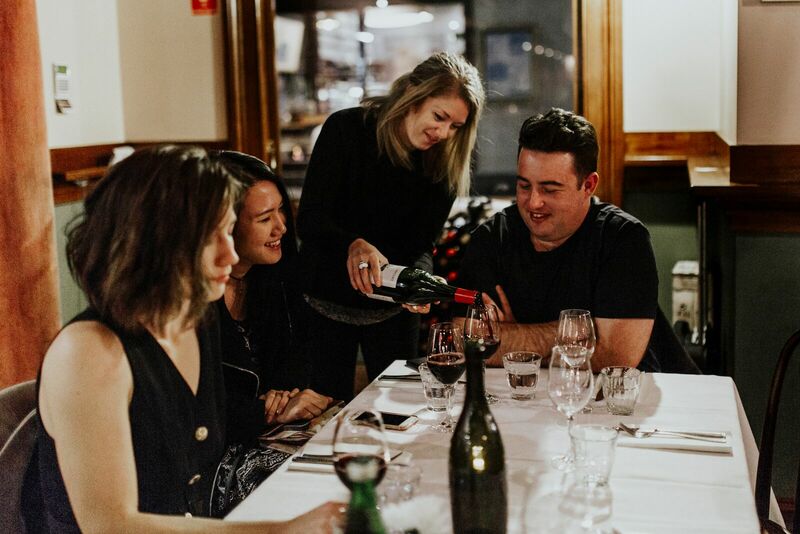 Not only will you be able to experience six unique South Wharf venues in the one night, but you’ll also be able to enjoy a menu that celebrates Melbourne’s varied seasons (yes, sometimes all in the one day)! Guests will enjoy five sumptuous courses, paired with beverages, along with a glass of champers on arrival. 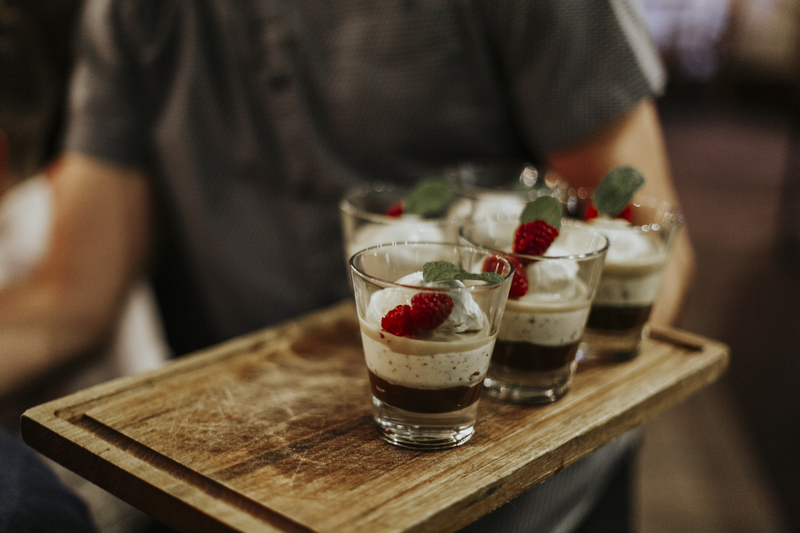 You’ll savour beautiful dishes crafted with hero summer, autumn, winter and spring produce while enjoying a very Melbourne experience as you dine by the sparkling Yarra River, soaking in the city skyline. What can you expect from each venue? 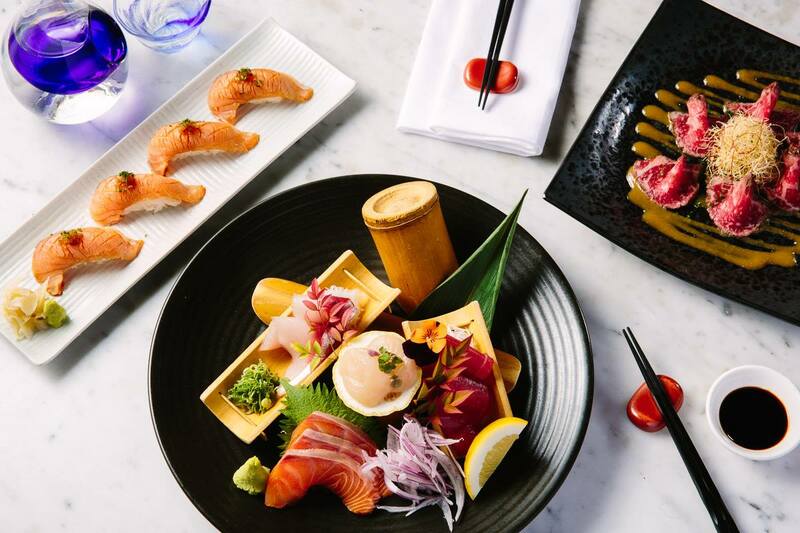 Bringing the heart of Japan to South Wharf’s doorstep, Akachochin offers traditional Japanese food in a modern style bar. 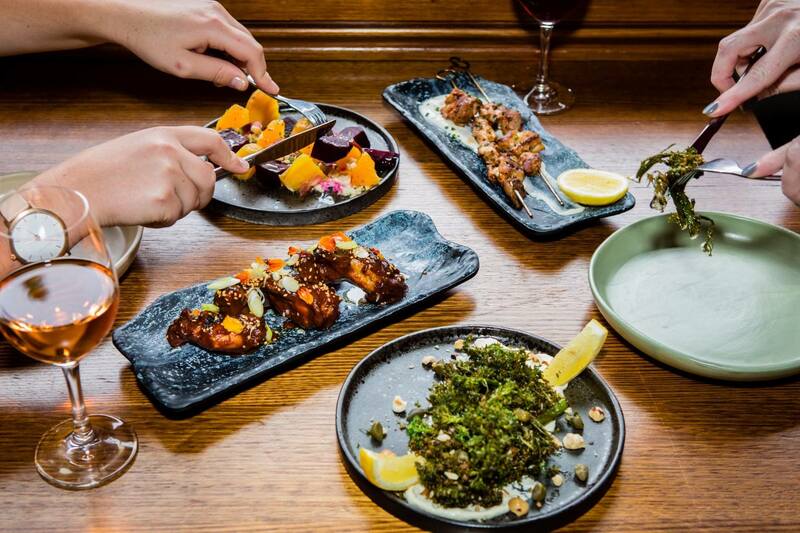 You’d be forgiven for thinking you were in Tokyo, with the customary dishes on offer, not to mention over 50 different styles of speciality sake. Dedicated to championing the true flavours of an open flame grill, Meat Market will dish up some seriously delicious meats from Australia’s most ethical producers, ensuring unbeatable flavour from exceptional quality produce. 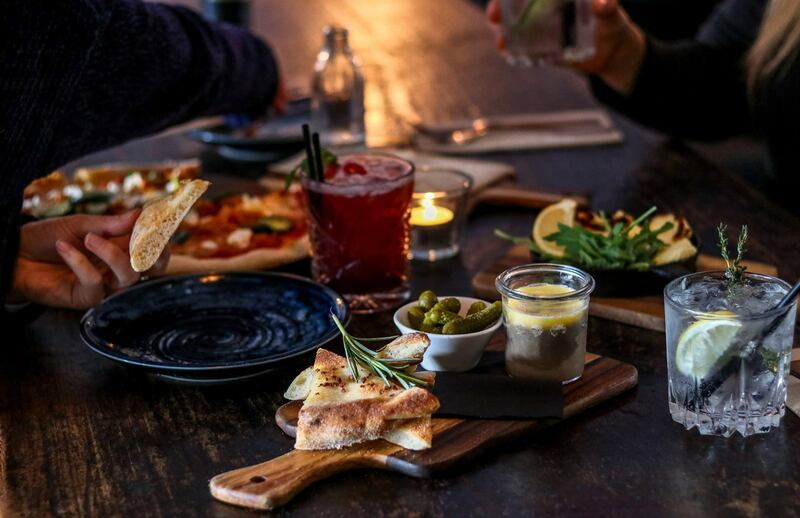 Great ambience meets a tasty Mediterranean menu at Plus 5, where inspiration is taken from Italy and Spain to create a delectable menu of freshly made sharers and tapas. 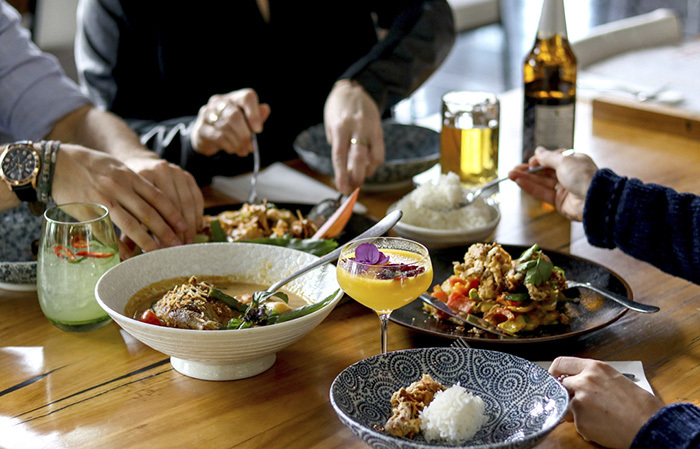 With seasonal ingredients that are sourced locally and some direct from Thailand, you’ll have a truly authentic Thai experience at BangPop. Brimming with fresh flavours and punchy drinks, it’s a true taste sensation that will not disappoint. Hearty, unpretentious food is the order of the day at Common Man. Expect satisfying rustic meals, along with imported beers and funky cocktails, in a bright, airy space, including cool vintage terrace. Here’s your spot for artisan gin and a wine list that’ll blow your eyes right out of their sockets. Offering sharing style morsels that’ll please the palate, the menu at Bohemian is designed to pair the perfect wines with the perfect flavours. All of the venues do. Definitely a lot better than trudging through the suburban streets, sampling Brett’s beef stroganoff and Sharon’s upside down pineapple cake. Vegetarians and those with dietary requirements can be accommodated at each venue.